Kidney stones can show up in anyone, at anytime. The sooner you know about them the better. Because you’ll be able to get them taken care of as soon as possible. Luckily, there are several signs that serve to indicate the presence of one or more kidney stones. While this article isn’t intended to replace a professional medical diagnosis from a trained physician, it may help you know when to talk to your doctor. If you have the misfortune of getting a kidney stone, you’ll know about it quickly. Saying that passing a kidney stone is uncomfortable is an understatement. In fact, the pain that accompanies a kidney stone can be downright unbearable. Where should you expect to feel this pain? Likely in your back, side, or belly. It won’t be subtle, so you don’t have to worry about the pain going unnoticed. The sensation will be felt intermittently. A kidney stone will likely cause problems with urination. You may start to feel pain every time you go number one, for instance. You can expect a burning or sharp sensation. If you’ve ever had a urinary tract infection, you may be quick to assume that you’re simply having another one of those. It’s important to differentiate between the two, however, since kidney stones pose a greater risk for your health. If you notice a sudden change in your usual bathroom habits, this may be an indicator of the presence of a kidney stone. Once a kidney stone has reached the lower portion of the urinary tract, you may begin to feel like you have to urinate immediately. Another sign of a kidney stone can be spotted by paying attention to your urine. The next time you use the bathroom, check to see if there’s anything different about it. Blood in the urine or a cloudy appearance are commonly associated with kidney stones. Also, urine that gives off an unpleasant odor will serve as a clue. Kidney stones can be an impediment to proper urination. When a blockage occurs, your standard flow is disrupted. As a result, your urine may flow out at a reduced speed. In severe cases, the urine won’t come out at all. If this happens to you, you should seek help immediately. A kidney stone may also cause a person to experience some nausea. A tendency to vomit will accompany it. This is another clear sign that what you’re dealing with is, indeed, a kidney stone. Still, it’s best to rule out pregnancy or any other potential cause for your nausea. Finally, a kidney stone can cause flu-like symptoms. A fever with chills points to the strong possibility of having one. If you end up experiencing these symptoms, you’ll want to be on the lookout for the other signs listed above. 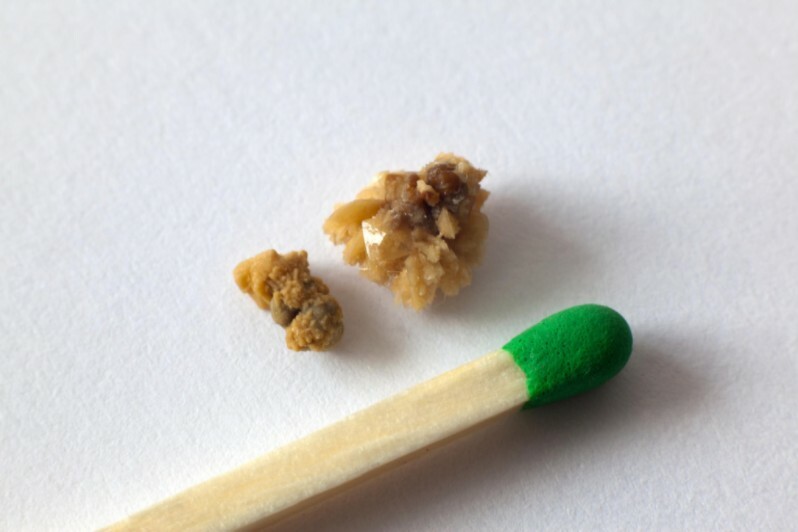 This can help you narrow down whether or not you truly have a kidney stone. Your health is important, so it’s crucial to pay attention to what your body’s telling you at all times. Finding out whether you have a kidney stone sooner rather than later will give you the opportunity to get the help you need that much sooner. When it comes to your health, don’t wait around for the absolute worst-case scenario to happen. See a doctor as soon as possible. In the case of a kidney stone, a simple urine analysis can let you know for sure if that’s what you’re dealing with, or if another issue is affecting your health.